Whats up esd community. Names robert use to have a 95 gst currently dnt have it anymore or any ride for that matter. Deff. plan to get another one though hell fun. M.P.H. is the name of the company that my cousin and i started back in 2011. No it doesnt stand for miles per hour. It actually stands for My Phucking Hobby. 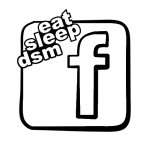 Will be posting more when i get another dsm hopefully soon. P.s. Go like my company on Facebook. Facebook.com/My.P.Hobby peace. on Sun Mar 31, 2013 11:17 pm by A.D.D.